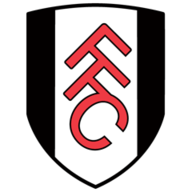 Fulham secured their first home win of the Championship season after defeating Blackburn 2-1 in a hugely entertaining encounter at Craven Cottage on Sunday. The hosts were electric in the first half hour and surged into a 2-0 lead thanks to goals from impressive forwards Ross McCormack and Moussa Dembele. It was all Blackburn after that, but they were restricted to a second-half Jordan Rhodes penalty due to an excellent display from Andy Lonergan in the Fulham goal, poor luck with the woodwork denying them and an unfortunate officiating error. Replays showed a Grant Hanley effort had crossed the goal-line before Jamie O'Hara cleared, but the Fulham man may have obscured the linesman's view and the goal was not awarded. The London side started brilliantly and scored an opener (4) when Ryan Tunnicliffe fed Dembele who powered down the right, before showing great awareness to cut a lovely pass back for man of the match McCormack to calmly find the corner of the net. The Fulham forwards linked superbly in the first half and McCormack sent over a beautiful low cross from the right which Dembele should have converted, but he could only turn the ball wide. Lonergan then produced the first in a string of fine saves at the other end to deny Nathan Delfouneso, who had latched onto a fine through-ball from Ben Marshall. But the hosts were soon threatening again and they were 2-0 up on the half-hour, Dembele eventually lashing the ball into the roof of the net after Rovers keeper Jason Steele had kept out a Tunnicliffe header and a Cairney shot. 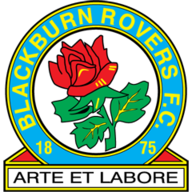 Blackburn were undeterred and dominated the rest of the half, creating a series of chances, the best falling to the lively Marshall, who met a Corry Evans cross with a glancing header which Lonergan brilliantly kept out one-handed. It was more of the same from Rovers after the break as Rhodes somehow hit the post from point-blank range as he slid in to connect with a Marshall cross. Rhodes headed over after a ferocious cross from substitute Bangaly Koita and nodded another chance straight at Lonergan, who then atoned for his own poor clearance with a great stop to foil Craig Conway. Blackburn finally pulled a goal back in the 68th minute when Rhodes was bundled over by James Husband at the back post and coolly stroked in the spot-kick to open his account for the season. The action was relentless in the final 20 minutes and Shane Duffy bravely blocked a Tom Cairney effort to deny Fulham a third, before Conway blasted over at the other end after a weak punch from Lonergan. Blackburn manager Gary Bowyer was proud of his players despite their 2-1 loss to Fulham. Then came the controversy as Fulham sub Ryan Fredericks kicked the ball off his own line and the ball smashed into Hanley and bounced back towards the goal, O'Hara volleying clear but not before the ball had crept over the line. It would have been a somewhat fortunate goal but Blackburn would undoubtedly have deserved it and they were unlucky again in the closing stages when a powerful strike from Koita came back off the post. And the day was summed up for the visitors in stoppage time when Marshall sent over a wonderful cross which flashed through the goal mouth, as Fulham survived another close escape. The hosts are now up to 11th in the Championship standings but Blackburn remain without a League win this season and are still third from bottom.